No community in America has been left untouched by the epidemic of addiction, particularly addiction to opioids and heroin. West Virginia has been particularly hard hit, leading the nation in overdose deaths. The Eastern Panhandle is no exception, partly due to highways I-81 and I-70, which provide swift and easy transport of illegal drugs such as heroin and fentanyl—distributed throughout Berkeley, Morgan, and Jefferson Counties. Community organizations and houses of worship across our nation, state, and region are seeking ways to stem the tide of this national epidemic. My church, Trinity Episcopal, in Shepherdstown, is committed to helping our community meet the challenges of this wave of destruction. 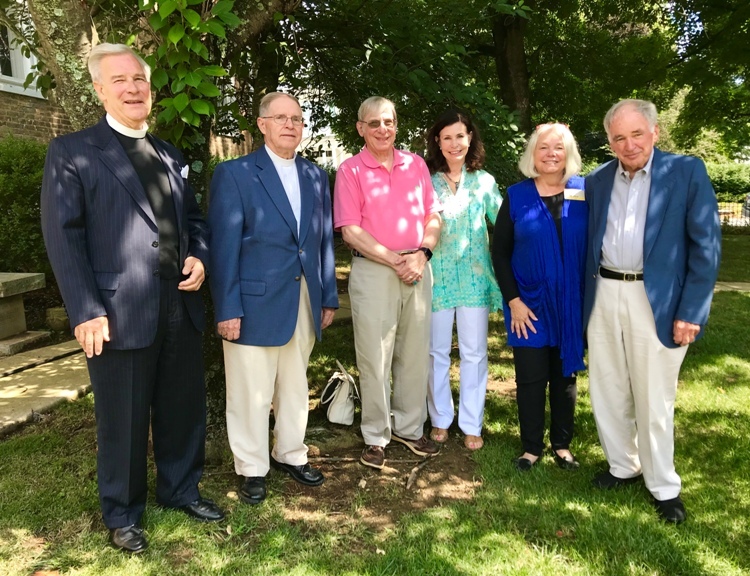 At the request of the Reverend GT Schramm, a committee of volunteers was established to develop a plan to address the addiction crisis in our community. After a series of meetings to gain an understanding of the facts of this crisis, we determined that our parish and the larger community needed to be informed by those whose lives have been directly affected by drugs—including those in recovery, medical professionals, recovery coaches, family members, employers, school personnel, and law enforcement. As you can see, no one segment of our community is left out. Trinity is in the process of finalizing the plans for a special weekend, September 15-16 (2018), when we will focus on prevention and recovery in our community. This “Day of Hope” is encouraged by the West Virginia Council of Churches. All houses of worship are urged to offer events that address the multiple facets of addiction in our community. In the evening of Saturday, September 15, we will have a short worship service focused on recovery, followed by a candlelight vigil for those who have died from this disease. On Sunday, we will host a guest speaker at our 10am Sunday worship service—Mr. Michael Chalmers, owner and editor of this paper, who dedicates space in The Observer each month for articles on addiction to help educate our community. His family has been affected by this epidemic, so he is uniquely prepared to address both private issues and public policy that will be helpful to all who seek more information on this topic. After the service, we will gather in the parish hall for fellowship and informal education on addiction. We will have an information booth and small group discussions on different topics led by those representing people in recovery, families, the medical profession, law enforcement, recovery coaching, business, and elected officials. This will be the beginning of an ongoing effort to address the issues surrounding addiction—particularly opioid and heroin addiction in our community. We extend an open invitation to anyone who wishes to attend these events. For more information, please contact—Jan Hafer, chair of Trinity’s Opioid Crisis Committee: janhafer52@gmail.com.